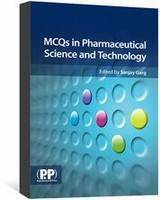 MCQs in Pharmaceutical Science and Technology is an invaluable resource for students and instructors in pharmaceutical science. With 600 MCQs and answers divided into six sections, the book progresses logically from basic science through to clinical considerations. Multiple choice questions (MCQs) are a key assessment and study tool in pharmacy courses throughout the world. Questions included in each chapter cover basic, conventional and novel delivery systems and allow you to gain valuable practice in this discipline. This book, edited by Sanjay Garg and with contributions from a range of distinguished pharmacy educators worldwide, provides a much-needed examination and study guide for pharmacy students in the scientific aspects of their studies.